1.Glass plate 20 cm x 115 cm having ground ends and one side frosted. 2.Brass or stainless steel rod 3 mm dia x 150 mm long. • Capacity of 5, 000 g each of aggregate and charge. All Kind of Testing Lab Machines for Road Construction Companies like Core Drilling Machine, Air entrainment Meter, Standard/Automatic Penetrometer and Lab Mixer with Heater and Many Others. 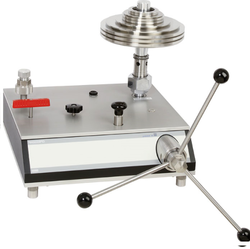 - 305mm (12") diameter cone apparatus. - The unit has two identical cones with valve in the centre. - Metal cylinder attached to top cone with clear plastic end for viewing sand flow and handles for carrying.